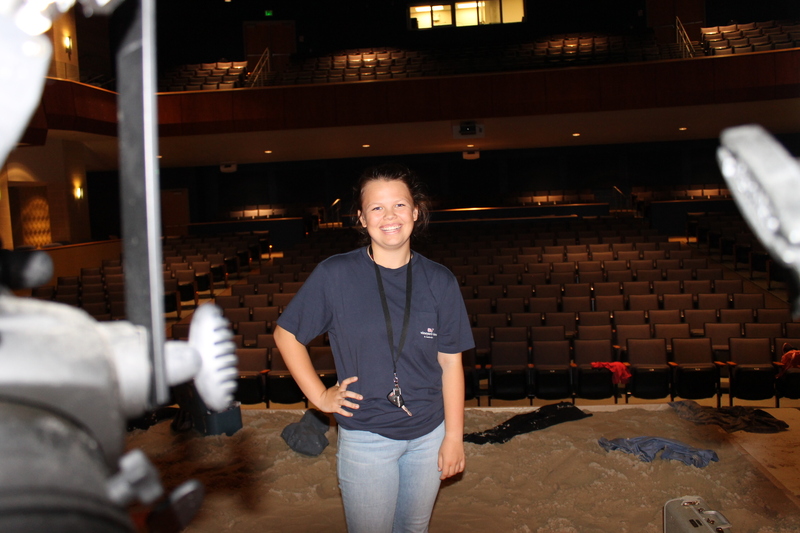 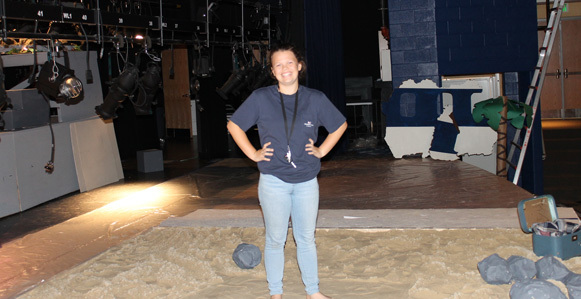 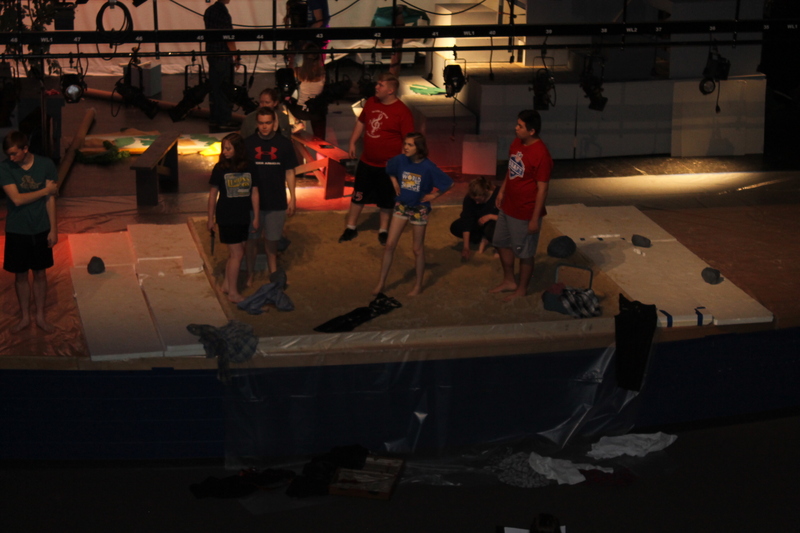 Lindsey is the set designer for the production, which will feature 7 p.m. performances at the high school May 18 and 19. 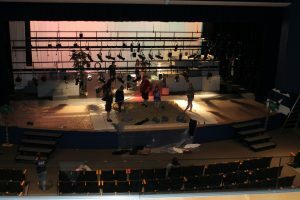 The shows are free to the public (donations will be accepted). 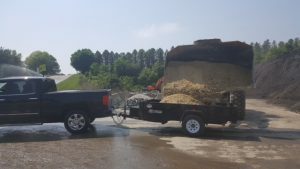 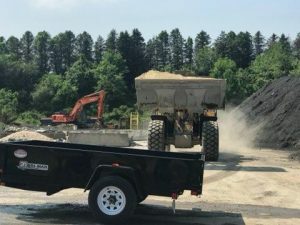 This was a unique opportunity in which CJM was able to support an enthusiastic student leader and her classmates by donating 1.73 tons of mason sand from our Finksburg Asphalt Plant to create a beach area on their set. We wish this hard-working group well in their production! 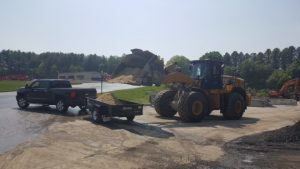 And high school seniors who are at least 18 years of age – If as you approach graduation you are unsure of your next step and you think you might be interested in building a hands-on career with our company, please check out our job openings at https://cjmillerllc.com/our-careers/. 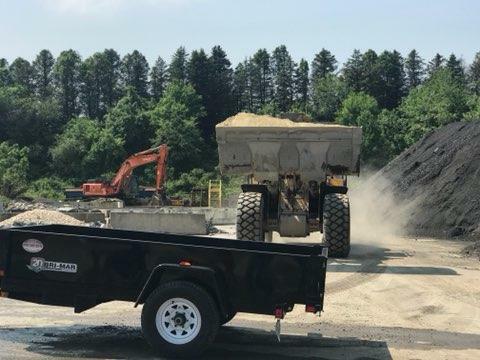 Lindsey and her dad pick up the sand from our Finksburg Asphalt Plant.